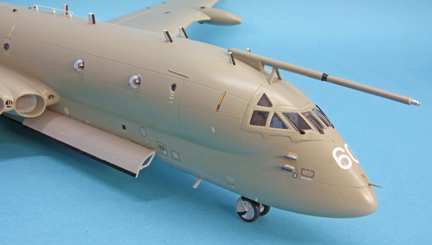 For many years now modellers have been asking for a Nimrod model but up till now only vacform kits were available I believe, so when Hornby announced the release of the Airfix injection moulded kit a lot of modellers had their dreams come true. There was great speculation as to which version would be available and was it going to be accurate etc. etc. 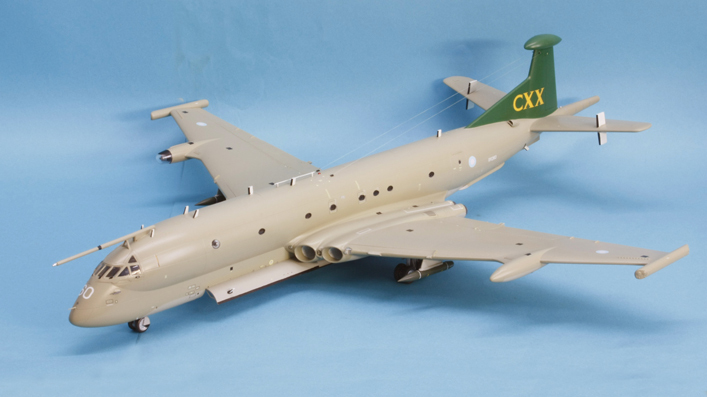 and I think Airfix surprised everybody by supplying parts and decals to make up six different aircraft with various sensor fits and weapons loads. The kit, in anyone’s language, is big but is not difficult to build, the parts are all sharply moulded and some parts need care removing from the frames as some gates are quite wide. The fit in most places is very good but in one or two cases the instructions are a little vague about positioning of parts and you may need to refer to photographs for correct locations . Whilst the kit makes up into a nice model there are one or two inaccuracies that you might like to correct, one is the position of the landing lights in the wings where they should be closer to the intakes than that indicated, the other concerns the positioning the flaps although supplied as separate items they really extend underneath the engine exhausts which are not a separate item. When the flaps are down those under the engines are also deployed in a similar way to the Victor bomber so I would keep them straight and level to be accurate. 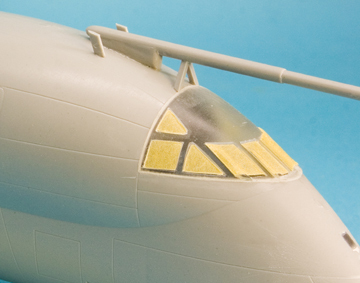 The decal sheet is very large with hundreds of items on it unfortunately Airfix have been let down by the printers as the main items such as the roundels have a number of blemishes on them and they are thick and very glossy, in fact Airfix has had a reprint and replaced sheets for a large number of modellers. 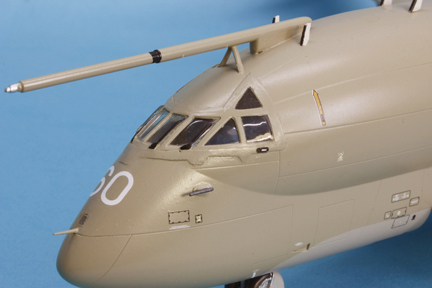 Each aircraft has a full decal plan in the instruction booklet and a six page sheet gives a full colour plan for each scheme with references to the appropriate Humbrol colours by number and proper title of the paint well done Airfix. Steps 1&2... the cockpit is rather basic but most of it can’t be seen through the small windscreens so it is your choice to superdetail or not but do remember to put the decals on the control panel before mounting. 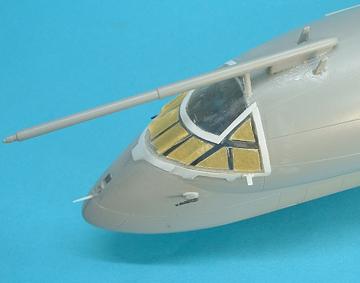 Step 3… the nose wheel bay assembly needs parts painting before assembly and note that the open wheel bay doors are folded inside, for my model I needed two aerials on one of these so they were added during building . The nose leg has a weak point where the strut part 20D fits so take care all through construction not to put any pressure on it. 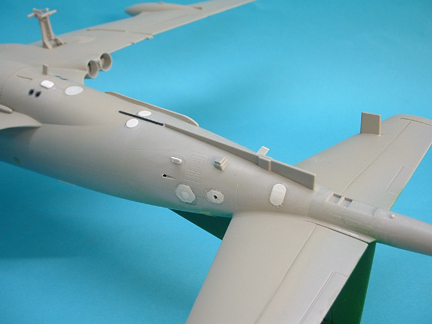 Step 7… you will need to make up your mind here as to which version you want to make as some versions require less fuselage windows than others and some holes for aerials need to be drilled. 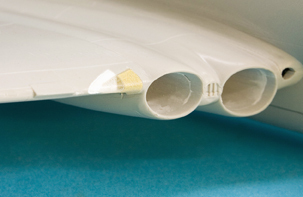 The windows have a large lip for cementing inside the fuselage which is nice for the less competent among the youngsters but the windows do protrude on the outside so I let them harden off for 24 Hrs then sanded them level with the surface using progressively finer grades of paper. The sheet says you need 20gms weight in the nose but I added 30gms just in case and I added it in the nose area of the fuselage half where the interior was fitted. The small window, part 4F, in the nose should be lower down than it is so I filed a hole just above the static discharger and filled the remaining hole with spare sprue. 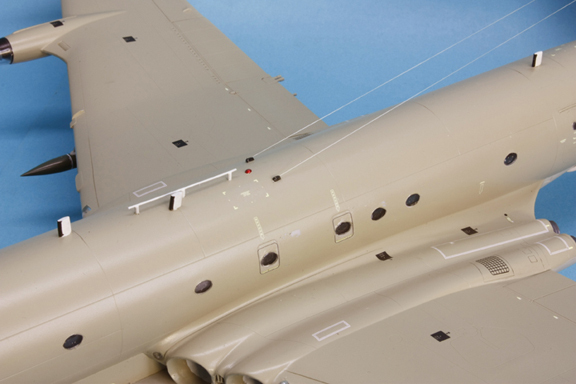 Now you can close up the fuselage halves but don’t forget the rudder. Steps 8&9… the main undercarriage, I found parts 29E a tight fit so check and perhaps give a light rub over with a sanding block before cementing. Step 14…make sure they are a good flush fit with the wing leading edge as they are very visible when construction is complete . My exhausts parts 8E were sprayed with humbrol Metal Cote polished steel and polished after 20mins but these were not fitted until all the main painting was finished. 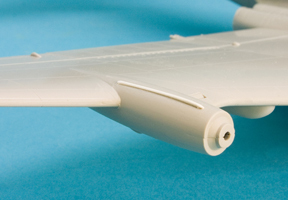 Step 15&16… If you intend to do a different plane than those shown in the kit then check your references to see if you need the slot or holes cut in the tailplanes for parts 31E or14E before you cement them together. 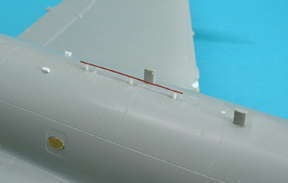 Step 17…As mentioned earlier the wing landing lights are fitted too far outboard so I filled the space with plastic rod and sanded it to shape. Next I cut a hole of the same shape nearer to the intakes and filled this area with clear rod which was also sanded and polished to shape. This area had the shape of the light window masked out before the main painting was done. Step 19…The undercarriage doors are shown here, for gear down you need to cut the doors as shown but the larger door is always closed except when the gear is being moved so cement it in the closed position, it is a bit tight against part 13E but it will go in. The weapons bay doors come in two forms open or closed, if you choose the open doors then they can be posed in two positions either hanging vertical or spread horizontal. I have posed mine in both positions just to show what can be done but they would not be opened in that manner in real life, all the doors would be in one position. Step 20… The clear cockpit window section is added here and I found that it overlapped the fuselage by a tiny amount all round also I noticed on a photo that there is a frame around the edges of the real plane so I constructed one from strips of 10thou plasticard to match. 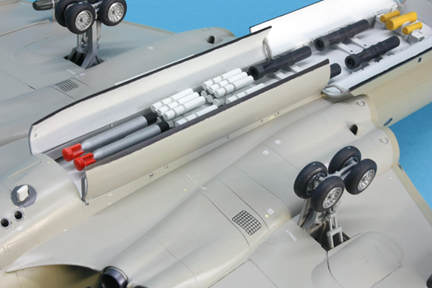 After the assembly of the weapons the next steps show each airframe with aerial fit and weapons loads, be aware that not all the loads will fit where shown as location holes aren’t all the same. 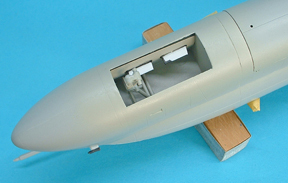 At no stage do the instructions tell you to fit the light in the stbd wing pod before adding the clear cover. 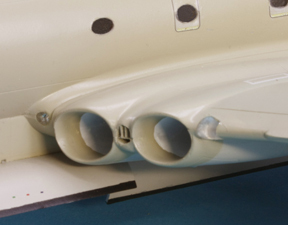 There is a strake on the stbd wing pod which I added from fine strip . 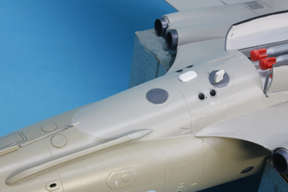 I did some detailing to add a little extra to the model, I drilled holes in the fuselage for the sonar buoy tubes which I made from Fineline tubing and inserted these; I also added the camera bay doors from plasticard and depicted them closed plus some aerial fits. The two towel rack aerials parts 25E were very thick so I replaced these with fine 0.75mm plastic rod. There are a number of “plated” panels around the rear of the fuselage and I have tried to represent these with 10thou card. Each entry door had a metal strip above it and it is to hook the head protector from inside onto to prevent damage to the crew upon entering, I made these from 0.5mm strip and they can be seen in several photos. 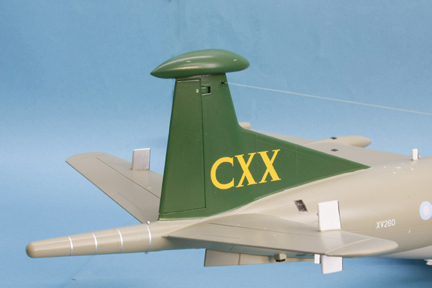 I was going to use the Model Alliance decal sheet MA-72160 for XV 260 from 120 sqdn with the green fin so all but one of the windows were masked with Tamiya tape then the fin was sprayed with Humbrol Hu3 Brunswick green. This was left overnight to harden off before masking, next the underside was sprayed with Light aircraft grey Hu 166 and left overnight again to harden. 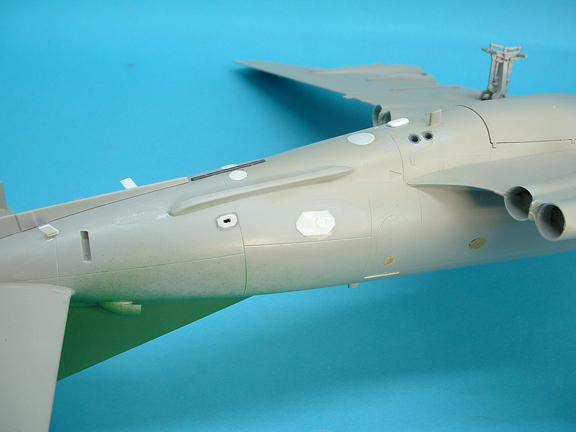 The camouflage demarcations are all sharp lines so Tamiya tape was used to mask up for the underside leading edges and lower fuselage and tailplane area. I have used Humbrol Hemp Hu 168 for the top sides but these colours are all available in the Xtracolor range from Hannants which have a gloss finish, When most of the masking was removed I sprayed a couple of fine coats of Johnsons Klear (Future) on as a base to protect the paint and give a smooth finish for the decal application. Model Alliance now do a stencil data sheet MAS-729044 which are very good as the sheet was done in conjunction with Airfix so all the numbers for the data are tied into the Airfix sheets, there are lots to do and it took me two whole days to get most of them on after which another coat of Klear was added for further protection. 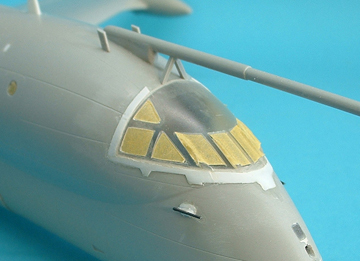 All the tiny details like aerials blades etc. etc. were now brush painted and a very small hole drilled through the fin to take a short length of flower wire as anchors for the aerial cables, to these I attached lengths of Lycra thread with a dab of superglue then I stretched these and attached them to the two anchor points atop the fuselage. 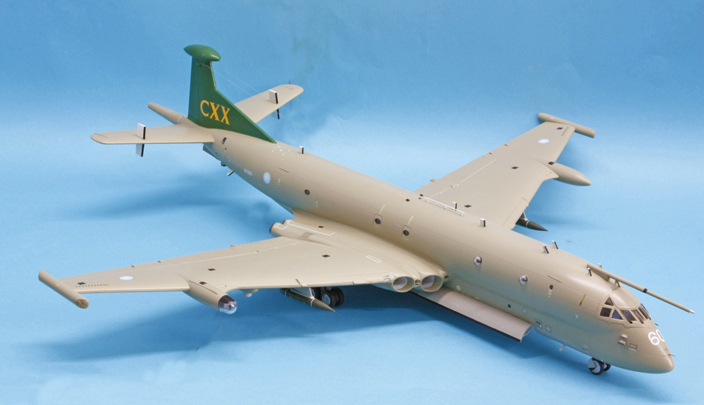 I felt this was an easy build and reasonably accurate model with lots of possibilities for superdetailing and modifications to a number of various types and fits, there are lots of photos on the internet to guide you if you so wish to do. Is it value for money? Most certainly. I personally fancy the early white and grey scheme for my next one.